It seems like there is a new fad diet plan out just about weekly with fabulous diet reviews. Most make claims about either fast weight loss or weight loss by eating all the foods you love or both, and a lot of people will try them. 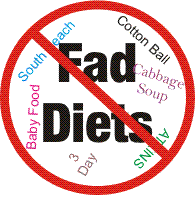 You hear the amazing story of how this person lost so many pounds in just a few days using one fad diet or another. Usually by eating one "weird" food. Many of them do work initially, but most are just not healthy. There is either some magic food, supplement or ratio of fats, carbs and proteins that make you lose weight. There are successful diet reviews of plans low in fat, high in fat, low in carbs and high in carbs. The media and business keep reporting the success of these plans. Trying to keep to a plan where you have to manage you carbs, fat or protein intake just doesn't work long term and it won't increase your health. Portion control makes you feel deprived and have compounded sense of hunger and cravings and is destined to fail. 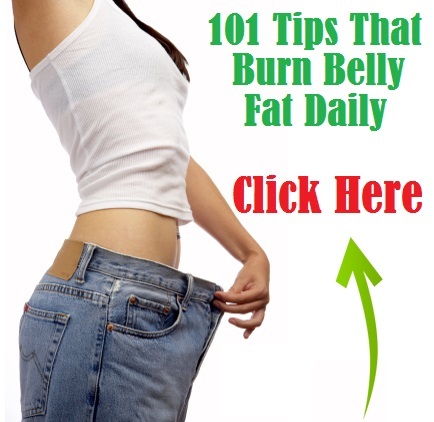 Those plans usually lead to initial weight loss with a subsequent weight gain. Often more than the initial weight loss. The yo-yo effect of weight loss and it's unhealthy. There are also diet reviews of plans that let you eat all the foods you love and still lose weight. These are still just portion control plans. You can eat anything you like, you just have to limit the amount. Studies have shown that fewer than 3% of people that lose weight this way keep it off for five years or more. Weight Watchers being one of these portion control diets. Again, the media and business provide the misinformation that promotes a diet with food that is calorie dense and fiber and nutrient lacking and thereby promoting poor health. A lot of the diet reviews promote a diet that is high in protein, low in carbs and restricts the amount of flour and sugars in your diet. While limiting the amount of processed foods in your diet like flour and sugar is smart, a high protein diet of animal products is not healthy in the long run, even though there may be some weight loss you can still increase the risk of heart disease and stroke. The "experts" that promote this kind of a diet ignore all the research that shows the relationship to eating a diet based on animal proteins and the amount of heart disease, cancer, stroke and other diseases. Some of these diet plans have people afraid of eating healthy fruits and vegetables because they contain carbs. 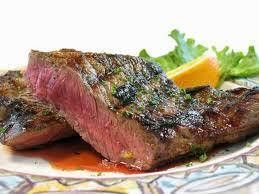 The Atkins diet is one of those diets that promote more animal products and less carbs. The Atkins Diet is also lacking many nutrients such as vitamin D, calcium and folate because of the elimination of virtually all fruits, grains and many vegetable. It is also lacking in fiber and most of the phytochemicals that are derived from carbohydrates in fruits, vegetables, whole grains and other plants. Watch the following video of Dr. Joel Fuhrman as he explains some of the dangers. Some of the more recent diet plans are also dangerous, such as the South Beach diet. Although this diet was developed by a cardiologist, the dieter is led through phases that cycle back and forth between weight gain and loss which can lead to heart problems and death. It has people going on and off a ketogenic diet which is a high fat, low carb diet that is used to treat seizures in epilepsy patients. This can cause deadly life threatening cardiac arrhythmias. Several studies have shown the correlation between the intake of animal products such as meat, cheese and dairy, to the increased risk of several types of cancers. If that's not enough, science has shown that it also causes kidney damage. The American Kidney Fund's medical advisory panel stated that high protein diets can result in irreversible scarring in the kidneys. 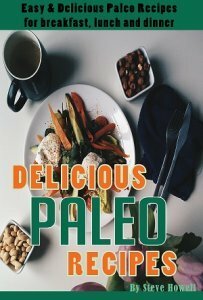 Of course there are many other diet plans out there like the Paleo diet, Mediterranean diet, the zone diet, cabbage soup diet, the cotton ball diet, the fruitarian diet, the detox diet and many more. The cotton ball diet being one of the most bizarre. You are supposed to swallow cotton balls with water until you feel full. Obviously there is little nutrition in cotton balls. Although, I think you poop a pillow after a few days. Almost all diet plans are lacking in nutrition or fiber or both. The thing to come away with from this short article is this - nutrition is a life or death issue. You have to become educated on what is and what is not healthy eating. You can't rely on the media or our government for the correct information. There are too many companies out there with monetary interests in you not finding out about nutrition. All the diet companies, the diet reviews websites, the drug companies, gastric bypass surgeons, supplement companies, meat companies, dairy companies, processed food manufacturers, grocery delivery companies, bakers, restaurants, doughnut shops, coffee shops and more. It is a really long list. If America started healthy eating habits how many companies would go out of business? Good nutrition comes from eating plenty of veggies, fruits, beans, nuts and seeds and limiting the amount of animal proteins and fats as recommended in Dr. Fuhrman's Healthy Food Pyramid. I highly recommend checking out his top selling book Eat to Live or Dr. Dean Ornish's book The Spectrum for much more detailed information. They both present excellent research and scientific data that will help you educate yourself. Just remember to take diet reviews with a grain of salt. Normally there is going to be someone that is set to make money if you believe the latest hype.